Kitchen Orange Clothing Deuville Pant. 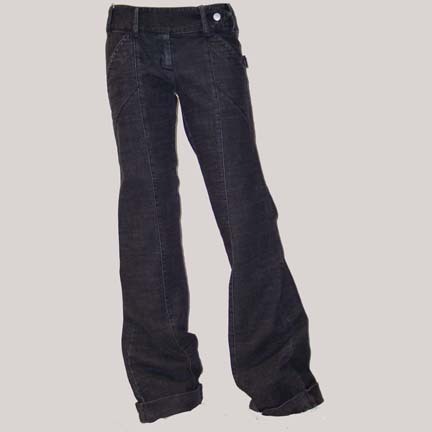 Women's stretch denim or stretch twill pant. Front zip closure and belted waistband. Fabric is 97 percent cotton, 3 percent lycra. Made in Canada.